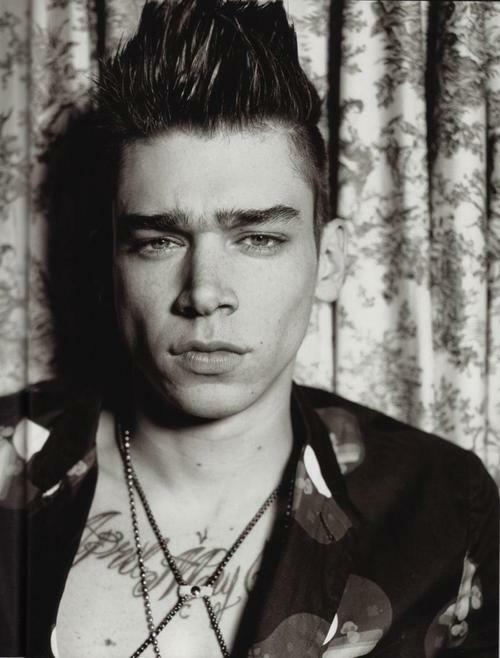 Cole Mohr is one of my fav boy models of all time. 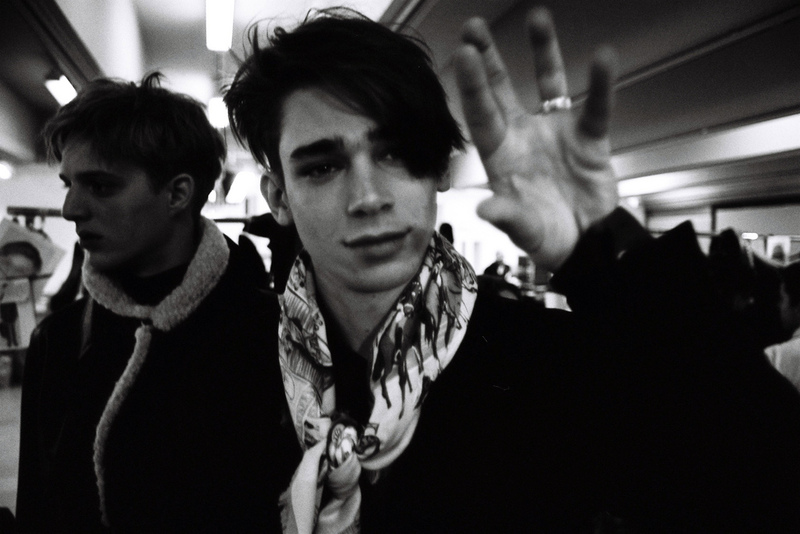 Here are two snaps of him backstage at menswear Fashion Week, photos by Nicolas Ripoll. The tattoo on his chest says, April May June. He has a bunch of other tattoos, including the word “Texas” on his inner left forearm and “Huston” on his inner right forearm, which is where he’s from. Cole posed for Marc Jacobs fall/winter 2008 campaign. Too pretty boy for you or just right? Ooh. Shaved-sides. And god…that face. He’s muse to Hedi Slimane too. Ooh, he’s a cutie. I love that pouty, bad-boy thing he’s got going on in those last two pics. I think I saw him on an episode of Kell on Earth. I recognize that tattoo on his collarbone, I think. He’s a little skinny for my taste, but I guess all the models are. Chris: Good catch on the Kell on Earth thing! I didn’t see him. He is a little skinny, a little androgenes. But he photographs so beautifully.